New deal sees Highways England team up with Advanced for more reliable IT hosting. Britain's roads are about to get much smarter and more connected following a new deal signed this week. Highways England, the Government company charged with operating, maintaining and improving England’s motorways and major A roads, has signed a £6.7m multi-year contract with technology firm Advanced to be its strategic IT partner. The deal will see Advanced provide Highways England with secure and compliant IT infrastructure hosting, helping it deliver a smoother, smarter and more sustainable strategic road network (SRN) across the country. The move follows Highways England's commitment to a new Advanced Traffic Management Systems (ATMS) software solution which looks to provide up-to-date details on traffic conditions across the country. This ATMS will now be supported by Advanced's IT infrastructure hosting service, allowing for improved performance and availability. This includes the company's 24x7 infrastructure management, backup and disaster recovery services in the event of an emergency, all of which are delivered through Advanced’s Infrastructure-as-a-Service (IaaS) platform. The contract starts immediately, meaning millions of road users should see benefits soon. 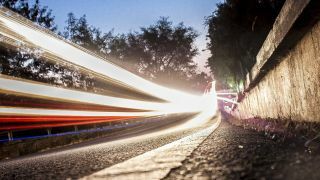 “With around 40,000 devices connected to the Highways England road signs network and links to emergency services, this is a mission-critical operation which we absolutely thrive in managing," said Roy Wood, managing director, IT Services at Advanced.